Associated British Ports (ABP), the UK’s leading port operator, has signed a Memorandum of Understanding (MOU) to work with digital logistics enabler Marine Transport International (MTI), to create one of Europe’s first detailed pilot programmes to examine the implementation of blockchain technology to improve port connectivity. 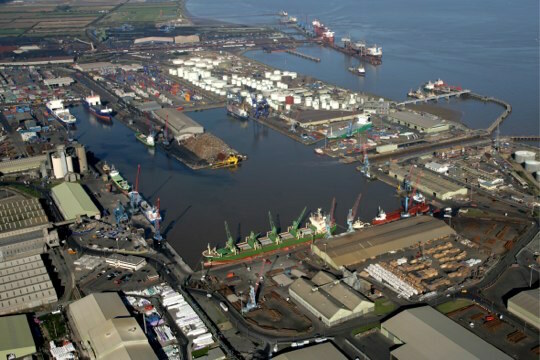 ABP operates 21 ports across the UK, handling 25% of the country’s seaborne cargo. As such, it connects with a huge number of businesses involved in the logistics industry. Being able to transfer all types of cargo quickly and smoothly through its ports is critical. As part of the agreement, ABP will commit to participating in MTI’s blockchain solution in pilot shipments. Currently, each party in a supply chain, from shipper to haulier and from port operator to carrier, uses different systems, which do not all talk to each other efficiently. MTI’s technology could offer a way to securely link these disparate ways of working and could bridge the silos to reduce time spent on manually re-entering data, ensuring a single version of the truth.